Swansea City’s free-scoring striker Michu is set to make his Spain debut early next year following a sensational start to his career in the English Premier League. Vicente del Bosque, coach of European and world champions Spain, told Spanish television that the 26-year-old will play in the February 6 friendly against Uruguay in Doha. Michu will be joined in the Spain squad by Iago Aspas, currently being linked to Swansea, whose manager Michael Laudrup is an admirer of the Celta Vigo forward. "Iago Aspas and Michu will appear (against Uruguay)," confirmed Del Bosque. Kelantan team currently training in Penang hold friendly matches with the host team last night. The friendly match, which was witnessed by more than 5,000 spectators in the City Stadium Penang is a charity match where the proceeds of ticket sales proceeds will be donated to the Gaza Humanitarian Fund. Kelantan started to attack opponents fortress once the match started. As a result of the attack three goals were scored in the first half of the match. Two goals scored by Dimitri Petratos at minutes 22 and 32, while the third goal by Haris Safwan in minute 37. First-half results, Kelantan ahead of Penang 3-0. STOKE-ON-TRENT, United Kingdom: Liverpool manager Brendan Rodgers is sure his team can cope with Stoke’s physicality as he prepares for Wednesday’s trip to the Britannia Stadium. The Reds are finishing 2012 strongly, with a run of four wins in five matches taking them to within five points of the Premier League’s top four. Rodgers is satisfied with the speed that the Reds have adapted to his passing strategy since his arrival from Swansea in the close-season. And he has no concerns that Stoke’s aggressive approach will ruffle his team’s smooth style. After keeping Swansea in the top flight in their first campaign last season, Rodgers has plenty of respect for the work Tony Pulis has done with unfashionable Stoke whatever the critics say about their tactics. “I’ve always respected them. There’s no right or wrong way to play football but Stoke sometimes have got a lot of unfair criticism,” Rodgers said. “How they play the game, they challenge you physically, which is fine, because it’s a physical sport, and at the elite level that’s what happens. “To consistently stay at this level after Tony got the team promoted takes a lot of work. I know through my time at Swansea the difficulties last year in that first full season and you’re trying to grow on that season by season and Tony’s done that. Rodgers is confident of making some additions to his side in January after failing to add to his attacking options before the transfer window. The Reds are close to a deal for Chelsea striker Daniel Sturridge and have also been linked with a move for Blackpool’s England under 21 winger Thomas Ince. Rodgers believes that some new faces, plus his team’s growing comfort with his methods, mean that Liverpool will finish the season strongly. NORWICH, United Kingdom: Rafael Benitez believes Chelsea are showing signs they are capable of mounting a title challenge as the Blues prepare to face Norwich at Carrow Road on Wednesday. Benitez’s side gave their best performance of the season on Sunday to destroy Aston Villa 8-0 at Stamford Bridge and maintain the momentum from their midweek 5-1 victory against Leeds in the League Cup quarter-finals. Chelsea fell just one goal short of matching the Premier League’s record margin of victory in an impressive display that saw seven different players find the net against a team who had been unbeaten in six matches. The goal spree against Villa ensured the west Londoners moved back into third place, 11 points behind leaders Manchester United with a game in hand. Now interim manager Benitez expects Chelsea to maintain the form that has seen them score 13 goals in just two outings since losing the Club World Cup final to Brazilian side Corinthians in Japan. “The main thing is to win our games; you can do it if you see the team improving. With this kind of performance you can normally win games,” he said. “You could see the mentality of the players, even at 6-0 we were pushing and trying to score more. The team are attacking as a whole and not just depending on one or two players, which is good news. Brazilian defender David Luiz is likely to continue in midfield against Norwich as Chelsea bid to make it three successive league victories. MANCHESTER, United Kingdom: Manchester United captain Nemanja Vidic believes the Premier League leaders’ improving injury situation will have a significant impact during the busy Christmas period. United, who saw their advantage over second-placed Manchester City trimmed to four points over the weekend, host Newcastle on Wednesday and then face West Bromwich Albion before travelling to Wigan on January 1. With such a hectic schedule, Vidic, who made his first start after three months out with a knee problem in Sunday’s 1-1 draw at Swansea, knows it will be a major bonus to have a healthy squad. Rio Ferdinand will be available again after being rested for the trip to Swansea, while Japan midfielder Shinji Kagawa is set to return to training this week following a knee problem. That leaves only Rafael da Silva, Nani and Anderson on the injured list, in stark contrast to the host of problems that plagued the opening months of United’s campaign. Vidic feels the increase in options are essential for United manager Alex Ferguson as his team try to hold onto their lead at the top heading into 2013. Newcastle eased the pressure on boss Alan Pardew with only their second victory in 12 games thanks to a 1-0 win against fellow strugglers QPR at the weekend to climb five points clear of the relegation zone. Ferguson admits he is surprised to see Newcastle struggling towards the foot of the table, but the Scot was just as shocked to see Pardew’s side challenge for a Champions League place last season. He also revealed he knew little about Newcastle’s impressive signings before they arrived in England. “The new players they brought in caught us all by surprise. We didn’t really know a lot about them,” Ferguson said. “I knew about (Demba) Ba, of course, but I didn’t know anything about (Yohan) Cabaye or (Papiss) Cisse to be honest with you. SUNDERLAND, United Kingdom: Gareth Barry is confident Manchester City will be able to chase down Manchester United at the top of the table as the champions prepare to face Sunderland on Wednesday. Roberto Mancini’s team have responded to their 3-2 defeat in the Manchester derby earlier this month with consecutive victories. That loss to their bitter rivals increased United’s lead to six points but second placed City managed to reduce the deficit to four over the weekend. Barry scored in stoppage-time to secure a 1-0 win over a stubborn Reading side on Saturday before United dropped two points with a 1-1 draw at Swansea on Sunday. England midfielder Barry, 31, acknowledges that United’s home games against Newcastle and West Bromwich Albion over the Christmas period are easier than City’s trips to Sunderland and Norwich. But City overturned United’s eight-point lead in the final six games of last season to win the Premier League title and Barry is adamant Mancini’s side have a similar determination this time around. “When there’s a little gap it’s important that you don’t slip any further behind,” Barry said. “If we can keep chipping away hopefully we can be there at the end of the season. “It’s going to be a big Christmas and looking at the fixtures, they didn’t fall that kindly for us, with two away games with the distances we’ve got to travel. City captain Vincent Kompany was on the bench for the win over Reading after a groin problem and he may be fit enough to return to the starting line-up at the Stadium of Light. Italian striker Mario Balotelli could return from illness, while Mancini will be hopeful that left-backs Gael Clichy and Aleksander Kolarov can overcome minor injury problems. PETALING JAYA: Adam Nor Azlin is a youngster in a hurry. The 16-year-old Bukit Jalil Sports School (BJSS) footballer wants to make a big impression in the National Under-23 squad next year. He was promoted to the squad from the President’s Cup Under-21 squad this year. Adam was included by National Under-23 squad coach Ong Kim Swee in the Newspaper Cup in Vietnam in October following an injury to central midfielder Irfan Fazail. The Klang-born lad grabbed the opportunity and repaid Kim Swee’s faith in him by helping the team emerged champions. He played in all the four matches, including the 1-0 win over Vietnam in the final. Adam said that he never expected to get a starting role in the team because of his age and lack of experience. 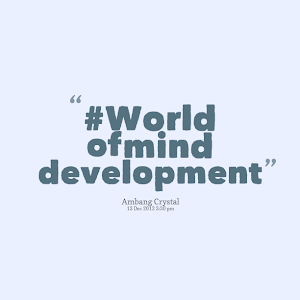 “For me, it’s a learning curve. I hope to learn as much as possible playing with the senior players. My initial target was to make gradual progress in the team – from the substitutes’ bench and then to the first 11. Getting the chance so soon is a pleasant surprise,” said Adam, whose favourite player is Spain and Barcelona midfielder Andres Iniesta. “I need to thank coach Kim Swee for having faith in me. I will continue to work harder,” added Adam, who was BJSS’ top scorer in the President’s Cup with 13 goals last season. ABU DHABI: Rafael Nadal will make his long-awaited return to tennis after an agonising six-month knee injury battle in the Gulf this week, but has warned he is not expecting any title-winning pyrotechnics. The 26-year-old Spaniard joins world number one Novak Djokovic and third-ranked Andy Murray in the six-player, three-day Mubadala Championships ahead of his return to the ATP circuit at Doha from December 31. Nadal hasn't played since his shock second round exit to 100th-ranked Lukas Rosol at Wimbledon in June, missing the Olympics, the US Open as well as the Davis Cup final against the Czech Republic which his country lost. Although desperate to play again, Nadal is equally keen to play down expectations. "Abu Dhabi is a test. My goal is not this week, not Doha or the Australian Open. My goal is to get fit, recover all my feelings. The only thing I care about is the knee," the seven-time French Open champion said. "The idea is to go from there. I won't give much value to what will happen next month or in two months. My real goal is to start in perfect condition at Indian Wells and Miami and reach Monte-Carlo with good feelings, to face the clay season in good condition." Nadal, an 11-time Grand Slam title winner, has been plagued by knee injuries throughout his career, a legacy of his all-action style. TOKYO - Incoming Japan Prime Minister Shinzo Abe is likely to pick policy veteran Toshimitsu Motegi as trade minister, who will also take charge of energy and other key economic policies, media reported on Tuesday. Motegi, 57, a former policy affairs chief for the Liberal Democratic Party (LDP), will tackle energy problems after last year's Fukushima nuclear crisis, as well as issues such as the U.S.-led Trans-Pacific Partnership (TPP) free trade pact, public broadcaster NHK said. Motegi was a leading member of the LDP's panel tasked with drafting an economic revival plan aimed at tackling the strong yen, deflation and preventing Japanese firms from shifting overseas. NEW YORK: Whether it is improving health or managing finances better, about 87 percent of Americans will make resolutions for 2013 and there are plenty of apps to help them achieve their goals. Nearly half of New Year's resolutions are about setting health-related goals, which is the most popular category, according to a recent survey by online broker TD Ameritrade. Rather than jumping into a rigorous fitness routine, a new app called 5K Runner suggests it might be better to ease into things slowly and focus on building sustainable habits. The iPhone app helps couch potatoes ramp up their running distance to 5 km over the course of eight weeks. "You're slowly building this routine into your daily life with a lot of success and after eight weeks you're literally running 5K, which is pretty big if (initially) you're not running at all," said David-Michel Davies, the executive director of T he Webby Awards, an annual ceremony honoring Internet companies. The app guides runners through each run, alternating periods of running and walking for 35 minutes. Davies also recommends Nike+ Running and RunKeeper, two popular and free fitness apps, which use GPS to track distance traveled, speed and calories burned. Both apps are available for iOS and Android devices. Diet is another component of good health and a focus of many apps. Fooducate is an iPhone and Android app that helps shoppers make healthier purchases at the supermarket by allowing them to scan the barcodes of products and get insight into how healthy the product is. Television host Piers Morgan hosts a conversation titled "Communication by Design: Inspirational Change" during the final day of the Clinton Global Initiative 2012 (CGI) in New York September 25, 2012. LOS ANGELES: More than 48,000 people have signed a petition that they posted on the White House website demanding that British CNN talk show host Piers Morgan be deported over comments he made on air about gun control. Morgan last week lambasted pro-gun guests on his show, after the December 14 mass shooting at Sandy Hook Elementary School in Newtown, Connecticut, where a gunman shot dead 26 people, including 20 children. "We demand that Mr. Morgan be deported immediately for his effort to undermine the Bill of Rights and for exploiting his position as a national network television host to stage attacks against the rights of American citizens," the petition said. The petition, started on December 21 by a man identified as Kurt N. from Austin, Texas, accuses Morgan of subverting the second amendment of the U.S. Constitution, which guarantees the right to bear arms. U.S. citizens can file a petition on the White House website, whitehouse.gov, if they collect at least 25,000 signatures within 30 days. The White House is then obliged to issue a response. Morgan, 47, a former newspaper editor in London, shot back at his critics on Twitter. He repeated his past calls for the United States to ban assault weapons and high-capacity magazines and conduct background checks on all gun purchases. JOHOR BARU: The Malaysian Maritime Enforcement Agency (MMEA) foiled an attempt to smuggle in 1.2kg of drugs, believed to be syabu, worth RM600,000 using a fiberglass boat, in Tanjung Tohor waters, near Batu Pahat two days ago. Batu Pahat Maritime Base enforcement chief Lt Commander Iskandar Ishak said the boat, believed to from a neighbouring country, was discovered at about 5.30am near the Sungai Pulai coast following a report from the public. "The boat skipper jumped into the sea and swam to the mangrove swamp nearby as soon as he realised the presence of the authorities. He could not be tracked down due to the darkness," he said in a statement. For Instagram, there's good news and there's bad news about theclass action lawsuit just filed against them. Bad news first: Somebody just filed a class action lawsuit. Good news: the lawyers from Instagram's parent company, Facebook, have plenty of practice getting rid of these pesky things. That might explain why they're so dismissive about the legal inconvenience a group of disgruntled Instagram users left under its tree this year. "We believe this complaint is without merit and we will fight it vigorously," says Facebook spokesman Andrew Nusca. It'll obviously take more than the half-hearted apology Instagram CEO and co-founder Kevin Systrom made at the end of last week. The lawsuit's complaint is somewhat understandable. If you've so much as heard the word "Instagram" you've heard about how much their new terms of service stink. In it, the company declared that it "may share User Content and your information (including but not limited to, information from cookies, log files, device identifiers, location data, and usage data)" with Facebook, its subsidiaries and its "affiliates." Instagram users understood this to mean that Instagram could sell their photos to advertisers, though Systrom pushed back at that in his blog post when he more or less said that the company would revert to its old terms of service. "We don't own your photos – you do," he said. Former President George H.W. 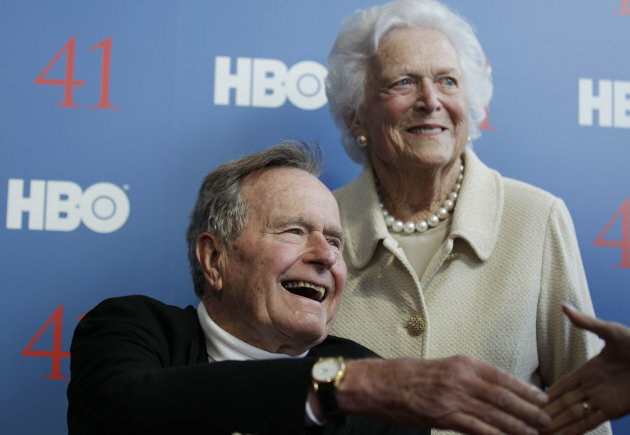 Bush, and his wife, former first lady Barbara Bush, arrive for the premiere of HBO's new documentary on his life near the family compound in Kennebunkport, Maine. The 41st president will spend Christmas in a Houston hospital after developing a fever and weakness following a monthlong, bronchitis-like cough. Bush’s spokesman Jim McGrath said Monday, Dec. 24, 2012, that doctors remain “cautiously optimistic” that he will recover, but they want to keep him in the hospital. HOUSTON — Former President George H.W. Bush will spend Christmas with his wife and other family members in a Houston hospital after developing a fever and weakness following a monthlong, bronchitis-like cough, his spokesman said Monday. A hospital spokesman had said the 88-year-old ex-president would be released in time to spend the holiday at home, but that changed after Bush developed a fever. "He's had a few setbacks. Late last week, he had a few low-energy days followed by a low-grade fever,"Jim McGrath, Bush's spokesman in Houston, told The Associated Press. "Doctors still say they are cautiously optimistic, but every time they get over one thing, another thing pops up." He said the cough that initially brought Bush to the hospital on Nov. 23 is now evident only about once a day, and the fever appears to be under control, although doctors are still working to get the right balance in Bush's medications. No discharge date has been set. "Given his current condition, doctors just want to hang on to him," McGrath said, adding that he didn't know what had caused the fever. Bush's wife, Barbara; his son, Neil, and Neil's wife, Maria, are expected to visit on Christmas, McGrath said.